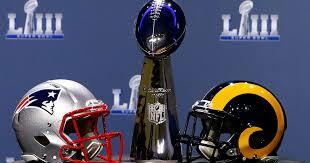 The New England Patriots will face the Los Angeles Rams in Atlanta for Superbowl LIII today. The Rams may be a better team but the Patriots have the experience of Tom Brady and will probably win. The game starts at 3:30PM our time. February 3, 2019 at 10:05 AM: A vehicle that was involved in a minor injury collision overnight is still sitting off Hwy 26 in Mokelumne Hills this morning. The owner had said they would get it towed, but didn't. A tow truck has now been dispatched to the scene. February 3, 2019 at 9:15 AM: A house fire has been reported on Pine Drive in Arnold. Per the first units, smoke is coming from the 2nd floor of a 2 story home. An ambulance is also responding to the scene.